We are all familiar with the critical state of South Africa’s education system, the scope of which has been a recurrent headline in news articles over the last few months. However, this year’s Axis Education Summit sought to shift the spotlight from the overworn topic of failure in education to a more forward-looking focus. The Summit’s overarching theme was “Realising a new story for Education” and the five-day gathering comprised a series of dynamic engagements on the topic. 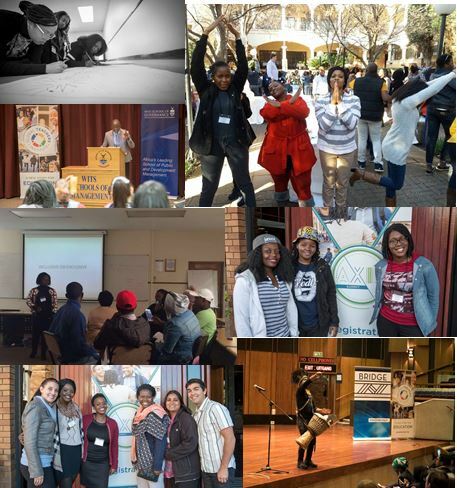 The Summit began with the Aspiring Teachers Convention (10 – 13 July), a meeting of young and aspiring educators eager to connect, collaborate and learn with their peers from South Africa and around the world. Teachers were given the opportunity to reflect on their own teaching practice while developing the necessary skills for transformative teaching. The Convention ran concurrently with the Leadership Summit (11 – 13 July), a series of workshops aimed at principals and other school leaders, which focused on the issue of school leadership in 21st century schools. Participants discussed their experiences, shared working practice and explored how best to apply their learning within their respective contexts. The third day of the Summit kicked off with the Axis Education Forum (13 July), a convergence of the Aspiring Teachers Convention, the Leadership Summit and the quarterly South African Extraordinary Schools Coalition (SAESC) meeting. The forum featured a panel discussion with various education leaders who reflected on the current state of South African education and considered what we could all do to facilitate change. Another highlight of the day was the ‘3-Minutes for Innovation’ segment, a platform which allowed participants to share their ‘innovation’ on any topic related to education. Innovative ideas included the benefits of Communities of Practice, the use of debating as a means to foster problem solving skills in the classroom, as well as the importance of identity development in young learners－particularly those from marginalised communities.